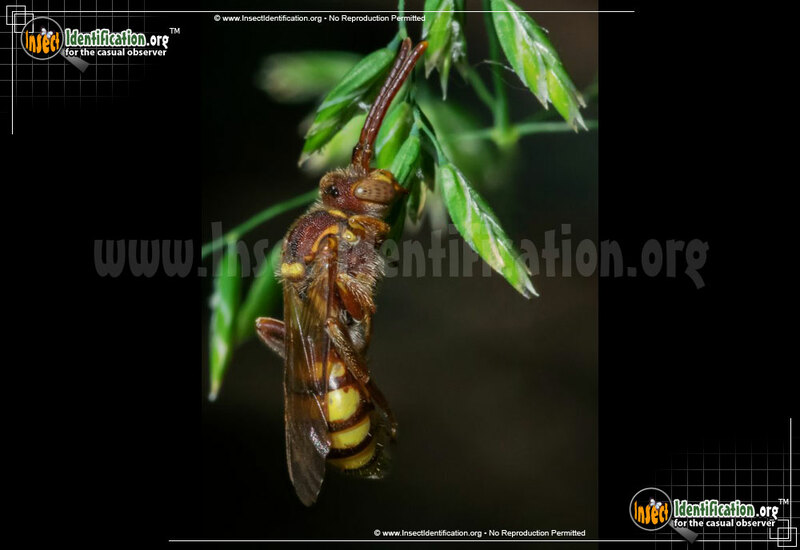 Detailing the physical features, habits, territorial reach and other identifying qualities of the Paper Wasp. 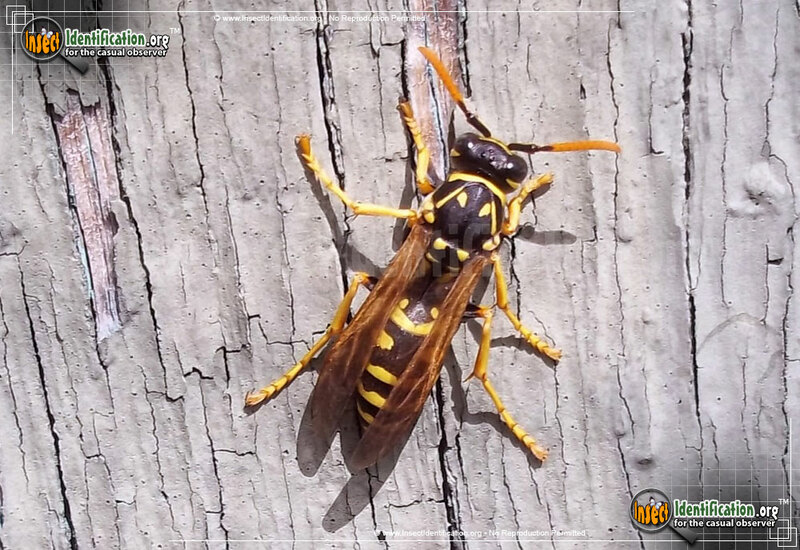 Paper Wasps come in a variety of colors and patterns, but all of these social wasps act as guards when protecting their home. Paper Wasps are part of the Vespid Wasp family. 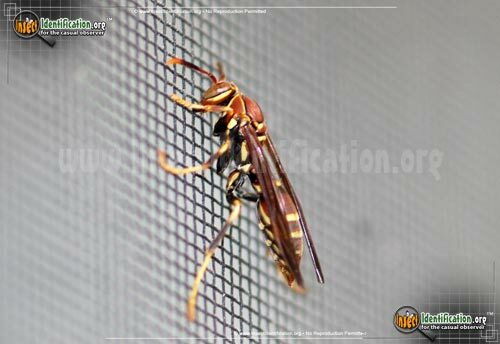 They form nests by chewing wood, forming a sort of paper mash with their saliva. The color of the nest can vary from gray to brown, depending on the type of wood pulp that is used to build it. This paper mash is formed into round cells that eventually house eggs with their food rations. Paper wasps sting other insects, paralyzing them, and bring them back to the nest. 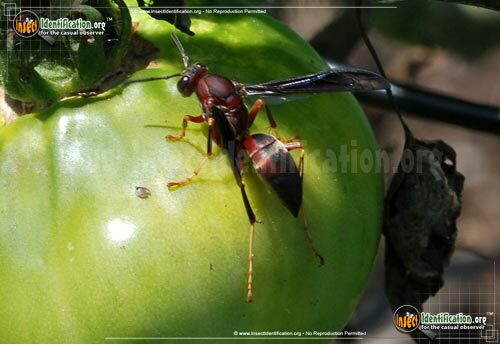 The paralyzed insects are stored in a cell with a fertilized egg. 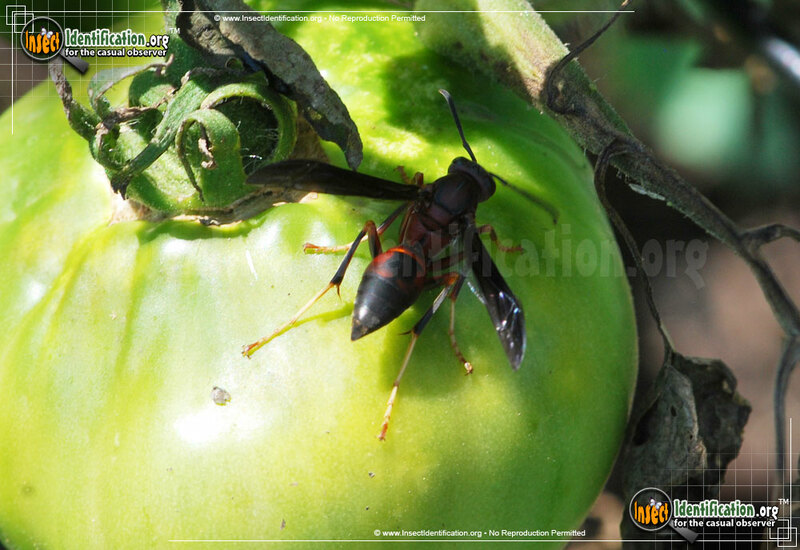 Once the egg hatches, the wasp larva eat the living, immobile insect. It will then pupate and emerge as a winged adult. 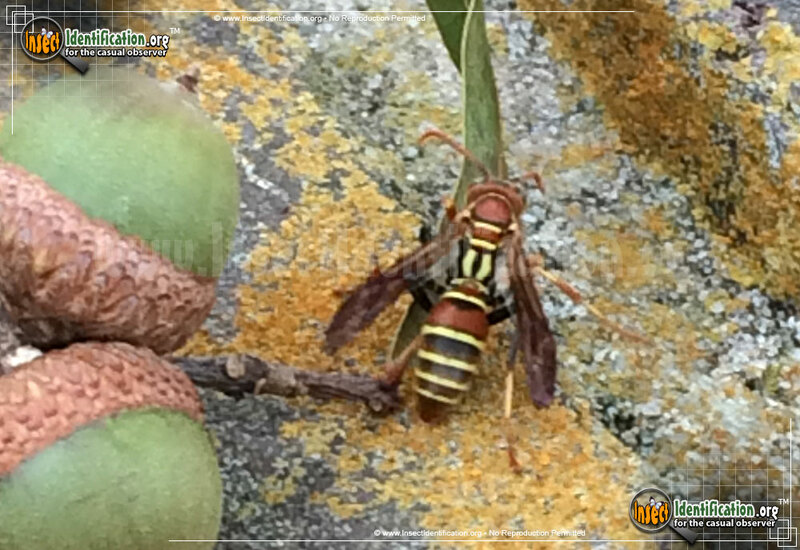 Paper wasps build their nests any place that looks like a good sheltered area: in dense shrubs, on building corners, and in trees. They are generally easy-going and do not tend to chase after people that are just passing by, but they can and do sting if they feel their nest is under threat. 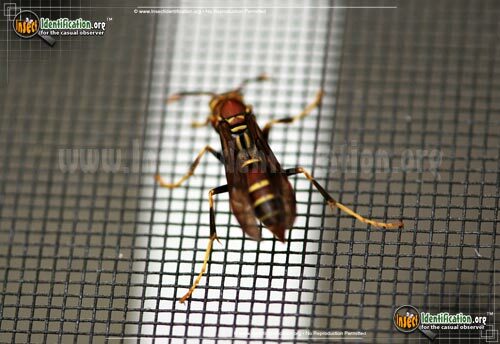 When approaching a nest for observation, the first wasps to notice turn and face the threat directly. What looks like a staring contest is a warning to back away. 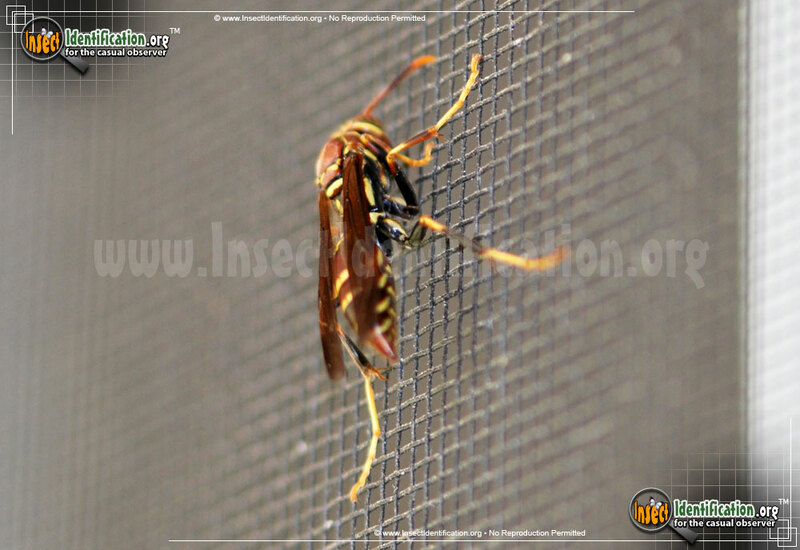 When other wasps around the nest engage in this defensive behavior, they are increasing awareness of the threat to each other. That is a good sign to move along.